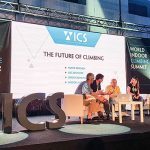 When looking at America’s climbing gym market certain areas of the country stand out more than others. One area that stands out above the rest is the Los Angeles metropolitan region of southern California. The LA metro area represents the largest and fastest growing climbing gym market in the US. The region has the biggest concentration of people outside of NYC; In 2010 the LA metro area, including Los Angeles, Long Beach and Anaheim, had 12.8 million residents. (The San Diego metro area, about 1.5 hours south, has another 3.1 million people). Luckily for all those SoCal climbers, the region also has the highest concentration of climbing gyms in America with 19 commercial climbing gyms open or in construction and multiple gyms in the works. Opening early in 2014 is the Stronghold Climbing Gym. 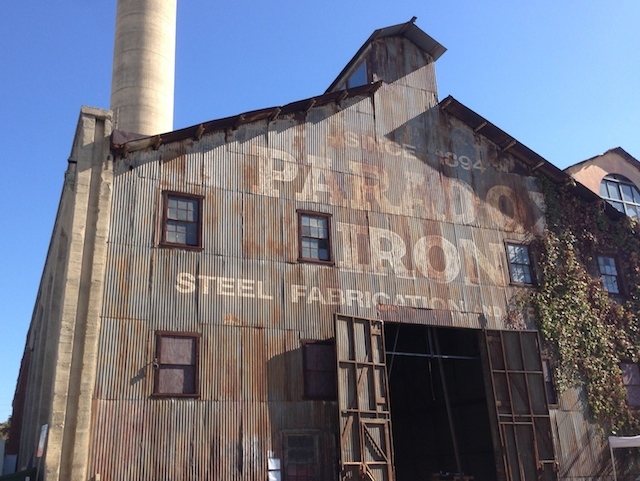 Stronghold will be one of the city’s more iconic climbing facilities after it completes the construction if its new gym inside a historic steam plant located in the Brewery Arts Complex, an artist-in-residence community in the industrial corner of downtown LA. But they won’t have the downtown market to themselves. Touchstone Climbing, which operates eight gyms in the Bay Area, recently entered the SoCal market with a new bouldering gym in downtown LA called the LA.B. 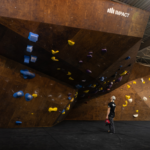 This facility, which opened for business this month, is based on the successful Dog Patch bouldering gym in its eponymous San Francisco neighborhood. 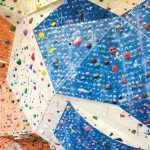 Boulderdash Indoor Rock Climbing Gym, which is located on the outskirst of LA in Thousand Oaks (about forty miles northwest of downtown, and close to an hour in good traffic), is also looking to add a few more gyms to the area. 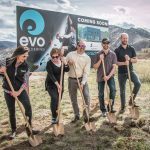 Paul Farkas, co-owner of Boulderdash, told CBJ “We have been planning on opening another gym(s) for quite some time but have not been able to close any deals for various reasons.” But 2014 could be the year that changes. 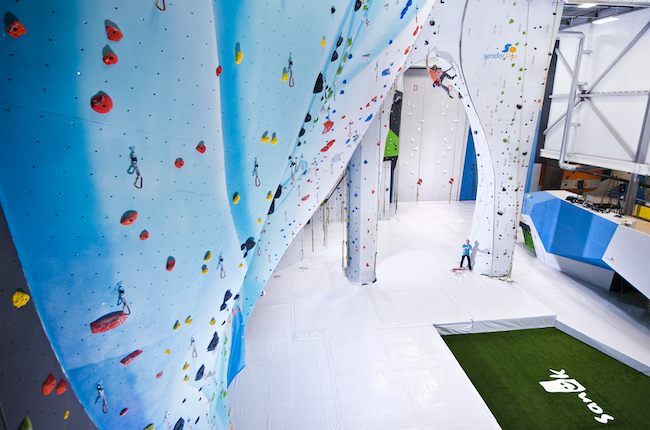 There is also Chris Sharma’s new gym, Sender One, which was the highest profile gym to open in 2013. Their 25,000 square foot facility in Santa Ana is considered by many locals to be the best gym to ever open in LA. The gym’s almost instant popularity is not a surprise, and perhaps their plans for expansion shouldn’t be either. “From the beginning, a key tenet of our business plan has been to grow quickly and expand to multiple locations. To that end, Sender One is currently finalizing an agreement for a building in the Los Angeles area. Until it is final, we can’t say exactly where the building is located. But in general, Sender One is always on the lookout for potential expansion sites, particularly in Southern California. Socal is our home, it’s our community, it’s where we are most comfortable,” said Wesley Shih, Partner and General Counsel of Sender One. When talking about the LA gym market we can’t forget to mention Hanger 18, which is currently tied with Vertical Endeavors as the second-largest gym developer in the country with 5 facilities (behind Touchstone’s 9 facilities). Their development philosophy has mostly entailed buying up small and floundering gyms in the LA area; of their five locations three were purchased from the gym’s original owners. But it seems likely that if they want to keep growing they will turn to developing their own new facilities. Down in San Diego, the 4th largest climbing gym in the country, Mesa Rim, is also looking into its options. “The vitality of our growing community has proven that a second location will be viable in 2015 and our planning and site selection is well underway,” said Ian McIntosh, co-owner and General Manager of Mesa Rim. All this new development will not come without some tears shed. In our next installment of our series on the SoCal market we will delve into what could happen to LA’s oldest climbing gyms as new facilities come rushing in. 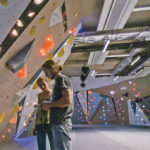 Adaptation Ahead for LA Gyms What It took To Make UK’s Fastest Growing Climbing Gym Philly Is So Hot!